The collateral consequences of a criminal conviction can be devastating and enduring. A felony conviction affects civil rights, firearm rights, and can be a huge barrier to employment opportunities. Fortunately, New York offers multiple forms of relief for individuals with criminal convictions. The benefits that come with these various forms of relief are immense, particularly with regard to employment opportunities and firearm rights. The laws in New York are also quite expansive, providing relief for first time offenders as well as those with multiple convictions. New York has two types of expungement options; one is a record seal, and the other is a certificate which restores certain rights that were forfeited upon conviction. New York law does not allow for cases to be completely erased from your record; however, the record “seal” makes it so that most people do not have access to your record. The certificates restore certain rights and abilities that were lost upon conviction. What kind of cases can be sealed in New York? The last category of offenses was made available as a part of the Rockefeller drug reform laws passed in 2009. The general types of convictions that may be sealed are drug possession offenses and various petty theft charges. The law includes felonies and misdemeanors, allowing for ANY misdemeanor drug or marijuana offenses to be sealed. When a Judge decides to seal a felony, he or she can also seal up to three prior misdemeanors at the same time. For a complete list of New York Sealable Drug Offenses please click HERE. The first step in sealing your record is determining whether your charge qualifies under the law. Only specific theft charges are enumerated in the law, including grand larceny, burglary, criminal mischief, and possession of stolen property. However, ANY class B, C, D, or E drug offense felony qualifies under the law. This is an expansive aspect of the sealing law, and emphasizes the intent to relieve and assist those suffering from addiction. Drug charges shouldn’t be a permanent barrier to education and employment opportunities. you have no pending charges. There is no specific definition of what is considered a “court-sanctioned” treatment program. The courts have been deciding which programs qualify on a case by case basis. If you are seeking to have your record sealed, be sure to consult an attorney who has experience with this area of the law. An attorney can ensure that your request to seal your record addresses all of the necessary qualifications. Sealing certain qualifying convictions makes it so that the arrest and the conviction are no longer available to certain employers and groups of people. A convicted person can apply to jobs with the peace of mind that their old record will not continue to affect their ability to earn a living. What is a Certificate of Relief from Disabilities and a Certificate of Good Conduct? New York offers two different types of certificates that restore rights that were lost as a result of a conviction. Upon conviction for a felony, an individual forfeits the right to vote, to be on a jury, to hold public office, to possess firearms, and multiple public employment and licensing opportunities. In order to have these rights restored, one must obtain either a Certificate of Relief from Disabilities or a Certificate of Good Conduct. Both of the certificates restore essentially the same rights, the difference between the two is who qualifies for each of them. A Certificate of Relief from Disabilities is available to individuals having only one felony conviction and any number of misdemeanor convictions. The Certificate applies to only one conviction, and you would have to obtain a certificate for each conviction. The Certificate of Good Conduct is available if you have two or more felony convictions, and any number of misdemeanor convictions. The Certificate of Good Conduct covers all of your convictions, and as such it is very useful. There is a waiting period to apply and it depends on the most serious felony conviction. The waiting period is three years for most felonies and five years for certain other serious felonies. The most significant different between the two certificates, is the Certificate of Relief from Disabilities does not restore the right to hold “public office”. New York does not automatically disqualify all convicted persons from holding future public office. 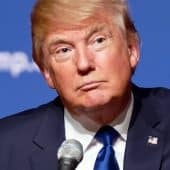 Most of the disqualifications are very specific and only apply to those who were convicted while serving in a public office for offenses involving dishonesty. However, specific professions of public employment may be restricted. The Certificate of Good Conduct is required for those seeking employment as a fire fighter, police officer, or notary. The Certificate of Good Conduct does restore the right to hold public office. The process of applying for these types of Certificates requires petitioning the correct agency. A Certificate of Relief from Disabilities must be obtained through the sentencing court if the defendant received a sentence other than commitment to the New York State Department of Corrections. An individual who received any sort of prison sentence must petition the State Board of Parole. A Certificate of Good Conduct is always obtained by petitioning the State Board of Parole. The Petition process can be complicated and it is essential that the petition contains all of the required information. If you wish to obtain either type of certificate in New York, it is best to consult an experienced attorney to assist you with the process. To the extent that the Certificate of Relief from Disability or Good Conduct FULLY restores all rights under New York law, it also restores Federal gun rights. Federal law disqualifies any individual with a felony conviction under State or Federal law. According to the ATF (Bureau of Alcohol, Firearms, Tobacco, and Explosives) this right is not restored unless an individual has had his or her civil rights fully restored under State law. The ATF states that a person has not had his or her civil rights fully restored unless, under State law, that person is eligible to hold public office, register to vote at a general election, and serve on a jury. An issue presents itself when the Certificate of Relief from Disabilities does not restore the right to hold public office. This situation is complicated, because the right to hold public office is not always forfeited upon conviction. A Certificate of Good Conduct would be necessary to restore Federal firearm rights when the Certificate of Relief from Disabilities is insufficient. The best way to know for sure what type of certificate restores State and Federal firearm rights is to consult an attorney knowledgeable on the subject. It is important that New York law allows for those with criminal records to move beyond the conviction, and seek relief from the alienation and discrimination that can come with a criminal record. Any person who qualifies, should take advantage of the opportunity to move on with their life and not to let a criminal record forever hinder opportunities. To speak with a criminal records analyst, feel free to call 844-947-3732 or take our free online eligibility test. I was granted a Certificate of Good Conduct, but it states except firearms. My felonies were non-violent drug convictions, and I would like to have my gun rights restored. I don’t plan on applying for a firearm in NY, but would like to retire to Florida in a few years, and be able to apply there. Please let me know what I can do, and what would be my chances. I work for the federal government, married, earned a bachelors degree, and own my home. Jack please call us to further discuss your situation. Hi. I was granted a certificate of relief of good conduct but states except fire arms. Don’t know why. Non violent offenses. Over 20 years. What can I do? Stanley – did you apply for a firearm license and get denied? Please call us to discuss your situation. I applied for certificate of good conduct and I too was denied in the matter of firearms. Non violent crime ten yrs ago… Pretty sure your average person convicted of a felony in NY will never legally own a firearm again, even though it is an inalienable right. Have a m misdemeanor for drug possession over 20 years ago. Own home in Westchester County NY, and was just denied the right to purchase a shot gun. What can be done tp restore my rights to bear arms ? Wesley – take our test or give us a call at 844-947-3732. You may have some options. I have 1 felony conviction for attempted posseaion. I also have my Releif of Civil Disabilty Certificate and it states that I can apply for the permit. I applied and was still denied. Can you please help me? Zipporah – please call us Monday to further explain your situation. We may be able to help you! I was convicted of A class 5 felony in Brooklyn New York Kings County 31 years ago , I was locked up for 2 days in the 83 preceint didn’t do any jail time except for what , I just stated and was placed on probation for 1 month and my case was sealed . I now reside in Winston Salem North Carolina and work for a major hospital as a Security Officer . I applied for a conceal carry permit for my job and was denied due to charge can you please help me with this issue or advise me on what needs to be done . William – if the charge was in New York, we may be able to help. Please call us at 844-947-3732. Alright I have a certification relief of disabilities for long guns. I served jail time 4 months with 5 yrs probation. Served both. I got off probation early. I went to purchase a rifle and got denied. What’s my next step? Remind you this is In upstate NY. Sean – we cover NY. Kindly call us and let’s see what your options are. 844-947-3732. I have a Certificate of good conduct that specifies I can hold the office of notary public, however, I cannot own a gun. It was a felony non violent drug crime that happened in 1991. I applied for a Cert. of Relief and was denied in NYS. The reason was general “not in the best interest of the public” but I an reapply in two years. I live in VA since 2010 and would like to go target shooting with co-workers and keep a gun in my home. I’ve contacted the NRA which is located near my home and they said I will need a pardon from the governor. 25 years ago I was held for a 72 hour mental health hold in New York State. I am now an uncertified corrections officer in Florida in Academy with no mental health problems for many years. I went to purchase a pistol to practice for my yearly qualification. I was denied because New York tagged me as mentally deficient based on my 72 hour hold from 1992. How do I fight this. If I can’t pass fdle, I can’t certify and will lose my career. Fdle says I have to get this removed by New York State. Please help. Patricia – I would suggest you call us at 844-947-3732. I had my firearms rights restored about 10 years ago,however the certificate specifies “long guns”. Is it possible to restore handgun rights aswell? I was arrested in 2010 for several offensive and charged with three felonies and three misdemeanors. They included impersonating an officer, hand gun charges ( which were completely bogus because I processed a New York state pistol permit at the time) as well as knife possession charges which were also progress. This all stemmed from a blown headlight and when I was pulled over I imediately told the officer what was in the vehicle including the firearms and the knives. At the time, I possessed credentials and a special deputy sheriffs badge from 1991 when I was sworn by now a now deceased Scheriff. I was eventually convicted of two counts of disorderly conduct. My pistol permit was revoked because the initial issuing judge had placed a restriction of “hunting and target shooting” only on the permit and at the time I was returning from my car dealer but had carried the firearms in the woods earlier that day. During my arrest, the officer commented how polite and cooperative I was and there was no violence then nor have I ever been associated with violence. I am a disabled registered nurse and hold nursing licenses in New York State and New Hampshire. At No time were my nursing licenses called into question during this incident. In addition, I have worked for the federal government as a disaster responder from 2004 to 2015 for the US department of homeland security and Health and Human Services. 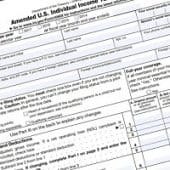 I hold security clearances and can provide standard form 85 in standard form 86 Clearances. The former district attorney of the county where I live is willing to represent me in order to regain my pistol permit. What advice, if any do you have for me in writing a letter to the court regarding my pistol permit? I have had no interactions with Law Enforcement since 2010 and other than the two disorderly conduct’s I only have two speeding tickets since I was 18. Dana, unfortunately your case is very specific and is beyond the services our firm currently offers. And was told I could not. I was told to get fingerprinted and send it to Tallahassee I finally got a reply they said due to a nonviolent felony possession charge back in 1993 in New York I wouldn’t be able to own a firearm but if I could clear that up they would have no problem with me owning a firearm. It’s likely that you must first restore your firearm rights in New York before being cleared to purchase in Florida. Fortunately, our law firm offers these types of legal services for people with New York convictions. Please contact our office to see if you qualify to have your firearm rights restored. A certificate of relief from disabilities may restore your firearm rights in New York. However, that will depend on the relief granted by the court or state agency. Please contact our office to determine your firearm eligibility in New York and to see if we can help. Great, Joel, we look forward to speaking with you! I am currently a pistol permit holder in Saratoga County NY. I was issued my permit in 2 months and 19 days. Obviously the issuing officer obtained my NYS records which have a misdemeanor for endangering the welfare of a child. I was convicted in 2010. The judge in Saratoga county, the same county where my convictions occured, issued me my pistol permit on August 27, 2017. Obviously if I was ineligible to possess a firearm based on said convictions, the judge that issued my permit would not have issued it. With my application, I sent a formal letter explaining my convictions to a “T” exactly what happened and why it happened and what I have done to distance myself from my past..
What confuses me is I went to obtain my pistol from an FFL and was denied my “transfer of firearms” per provisions from NYS penal law which claims that I am prohibited from possessing a firearm. If this is the case, then why did the judge issue me my permit? He obviously believes that my rights are no revoked and I have the right to possess firearms in NYS. I also contacted the judge to obtain a letter to send to NICS check to prove that my rights were not revoked and I was told that the pistol permit, which was issued by Saratoga county in NYS, was enough proof to show that my right to bear arms has NOT been revoked. I am sending in an appeal with a copy of my pistol permit proving my rights have not been revoked but if this fails then what more can I do? The judge will not speak with me or write me a letter stating that my rights in NYS have not been revoked! Hello Billy, it’s possible that your conviction was for a crime which would prohibit your from purchasing or possessing firearms in New York. Some people may restore this right through a NY Certificate. 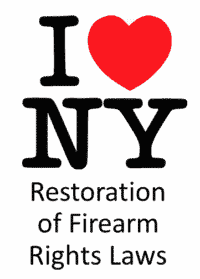 Contact our office if you’re interested in restoring your NY firearm rights. In 1988 I plead guilty to attempted burglary in the 3rd degree (Class E felony). At sentencing, the judge issued a certificate of relief from disabilities. Is it possible to get my firearms rights restored? Hi Ted, certificates of relief in NY can restore civil rights, including firearm rights. But, it depends on certain qualifications. Some people require further relief through a new certificate. Give us a call to see whether you are eligible for NY firearm rights restoration. I have been convicted of several felonies and a few misdemeanors in my life. I was released from prison the final time in 2009 and released from parole supervision 2 yrs later in 2011, 8 n 1/2 yrs early. I have been off parole with no trouble or arrests since 2011. I would like to get my pistol permit priveleges back as I am a security guard and would like to appl to be an armed guard. I would like some help with gettin my certificate of good conduct and/or pistol permit. Can you or will you help me? It should be rather uncomplicated I hope. I was arrested in 1986, in NY,charged with criminal sale of a controlled substance in the 5th degree. I have a Certificate of Relief of Disabilities issued in 2006. I have a gov job with high security clearance. I want to get a pistol permit. I was told by the pistol division my Certificate needs to be changed from box B to box C to specially say to remove the disability imposed by sect 265.01 and 400.00 of the penal law for the purpose of obtaining a pistol license. I applied, paid a $300 fee for FBI report , which by the way was read to me by probation, and her letter stated that i have lead a a law abiding life, but they do not make any recommendations for this. The judge denied my request. I applied for a Motion. Filed and Served, the county attorney , the DA and The courts. No opposition from DA or county attorney. She denied me again. I decided not to file an appeal at this time, but am going for the new Expungement law that NYS just got in October. Then I will file again, makes more sense to do that first, frankly didn’t know about it till after i filed. I never spent one day in jail and got 5 years probation. Why is it that a Good Conduct can go to someone who was in jail and not to someone who has not ? I am also getting fingerprinted this week to get my NYS records, as i would like to know whats in it. I also own property in Vermont, so the laws there are different so I’m hoping once i get a FBI denial i can file a NICS appeal with my expungement. Am i chasing my tail around? Is this a hopeless situation and i still want that BOX C also for the state and county i live in. This was 32 years ago. I was 21. Any advice would be helpful and appreciated. I was arrested for criminal sale of a controlled substance in 1996. My record was sealed because I was a minor. I have no other convictions on my record and haven’t been arrested since. I would like to apply for a firearm license in Brooklyn but am unsure whether I need to disclose this conviction and whether it would disqualify me from consideration for a firearm license. I was convicted of a class A midemeanor over 23 years ago and received a relief from disabilities from the judge. Later went on to pass police background and hired and now retired as a firefighter. I was recently denied a pistol permit by Putnam County judge with no clear reason. I did take antidepressants etc for work related injury and disclosed this (prescribing Dr Letter stating I can bear firearms safely) as well as all criminal history and relief. The judge used the arraigned felony charges against me and ignored the certificate stating,”we aren’t barring you from licensing.. that’s why you are here today” only to go on and deny saying I didn’t even own up to the crime. How can I challenge this? Or more importantly clear this past for good so I never get treated like a criminal again decades later as I was? I have a felony charge from 2008 for attempted burglary 2nd, I was 17 years old when I was charged. I and some friends skipped school and stole a friends parents change from their house when their parents weren’t home. I was charged and with a violent felony just because it was a “residence”, no violence occurred whatsoever, literally a piggy bank was stolen from an empty house… now 10 years later I have received a certificate of relief from disabilites which explicitly says no firearms, I’ve graduated from college, been an integral part of my community, worked in the District Attorneys office, etc. I am now planning to move to TX and would like to know if there is any way to regain my firearm rights.. I have a wobbler felony turned into a misdemeanor in California 20 years ago; living in NY C for over ten years now. Do I still need a relief from disabilities from NY. I had dwi felony class E non violent 8 years ago probation for 5. Completed everything flying colors no problems what so ever. Applied for a cirtificate relief of disabilities. Received one. The language in the paperwork does not say firearms restriction nor able to possess. My probation dept told me after 1 yr that i could posess firearms and my privilege would be granted ,it’s been over a yr am i good to go or what would u suggest. I was convicted of a felony in Florida years ago. Am I legally able to bow hunt in new york? At 19 years old I was convicted of a Class D Felony in NY on 12/19/2005 for “Criminal Sale of a Controlled Substance 5 P.L.220.31”. I was granted a C.O.R.D that states(box B checked off) “Relieve the holder of all disabilities and bar the employment, excluding the right to be eligible for public office.” Does this mean I can now purchase a firearm without being rejected? Has anyone had their rights & fire arm rights restored ? I was convicted for a felony dwi in NY in 1984 the offence was in 1983 (2 dwi’s in less than 10 years). Several years ago I obtained a relief from disabilities that specifically stated I was eligible to run for public office. No other convictions have occured since the dwi. What do I need to do in order to be allowed to possess long guns again. I am retired and would like to be able to hunt again now that I have the time. Disclaimer: The material on this blog has been prepared and is copyrighted by WipeRecord, a division of Eastman, Libersat & Meyler, PC ("WipeRecord"). The material is for informational purposes only and does not constitute legal advice. Information provided by or cited to third parties does not necessarily reflect the opinions of WipeRecord or any of its attorneys or clients. Results of any expungement or restoration of civil and/or firearm rights may vary from case to case. We obtained your email address when you took the eligibility test on our website. Please note that prior results do not guarantee a similar outcome. The choice of a lawyer is an important decision and should not be based solely upon advertisement. Please refer to our website for prices. This is a legal advertisement. If you have already hired or retained a lawyer in connection with your gun rights restoration, please disregard this letter. Our lawyers do not have professional liability insurance.